We have been nominated for a national award by the Considerate Constructors Scheme for its work on the Building a Better Nottingham scheme. 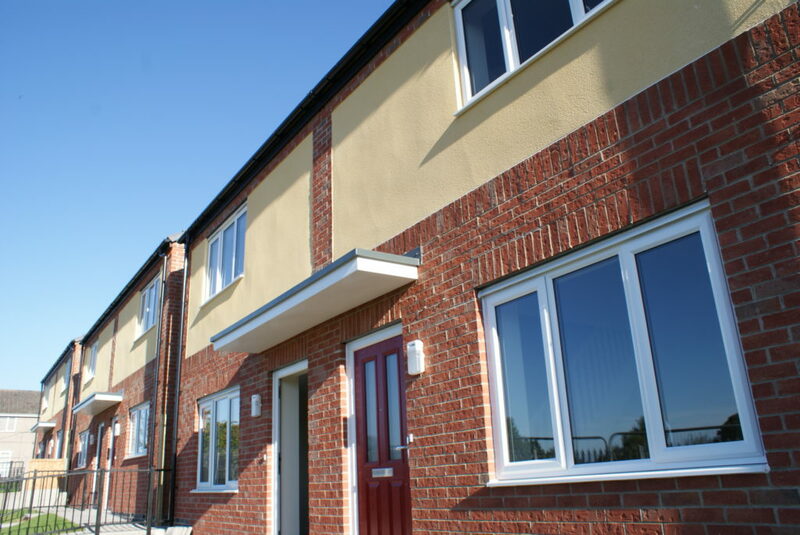 The company has been working with Nottingham City Council and Nottingham City Homes on a £2.85m scheme to build 26 council homes across the city. It has been nominated for its site at Henning Gardens in Top Valley. The former disused garage site is now host to eight two-bedroom family homes, providing much needed accommodation and improving the surrounding environment for local people. The Considerate Constructors Scheme (CCS) is a national initiative, set up by the construction industry to improve its image. Construction sites and companies that register with the scheme are monitored against a strict set of standards. These have been designed to encourage best practice, beyond the statutory requirements of any building site. Nottingham City Homes has become a Client Partner of the CCS scheme. Being a member of the scheme highlights the commitment from NCH, Nottingham City Council and our supply chain partners to meet the high standards required to achieve this level of recognition. All scored highly, with a number of individual marks of ‘excellent’ and a couple of ‘exceptional’ points. But it was the site at Henning Gardens which stood out from the rest. The company will not know whether they will receive a Gold, Silver or Bronze award until the awards ceremony, which will be held at The Lowry in Manchester on Thursday 25th March. Glenn Slater, Business Development Director at Robert Woodhead Ltd, said: “We’re really pleased that our Site Manager Robert Chadwick has been put forward for his second National Site Award. Councillor Alex Ball, Executive Assistant with responsibility for Housing and Regeneration at Nottingham City Council, said: “We have been incredibly pleased with the work that has been done on all four of Robert Woodhead’s sites across the country. Robert Woodhead’s Site Manager at Henning Gardens, Bob Chadwick, also invited apprentices and students from Vision West Notts College and pupils from the nearby Big Wood School to spend time on-site to learn about the day-to-day running of a construction site.